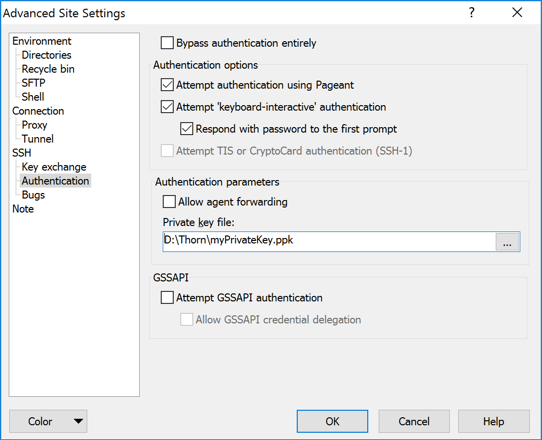 When connecting using an SFTP client, it's recommended to use key-based authentication with SFTP Gateway. This is more secure than regular password. Note: If you need to use password-based authentication, refer to this page on how to set that up. 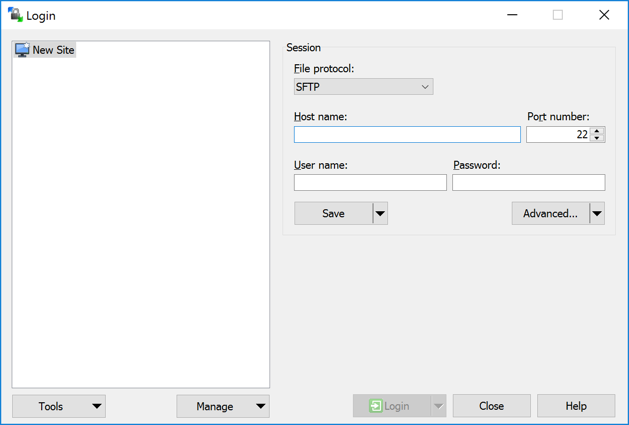 To log into the SFTP Gateway server using Filezilla, follow the GIF below. Password: Leave this blank. Instead, you will configure the key below. For the Private key file, select the userPrivateKey.pem you created earlier. A dialog will appear asking if you want to convert the .PEM file to a .PPK file. Click Ok. Select the newly converted key and click Ok. Prior to SFTP Gateway version 1.003.02, the resume/transfer feature of WinSCP would cause SFTP Gateway to miss files due to a temporary “.filepart” file being created as a placeholder while WinSCP would write to the file. WinSCP would then rename the file causing an error in SFTP Gateway. To fix this we implemented a file exclusion feature to ignore the “.filepart” extension when a file is uploaded. Please see the File Exclusions knowledge base article for more details. 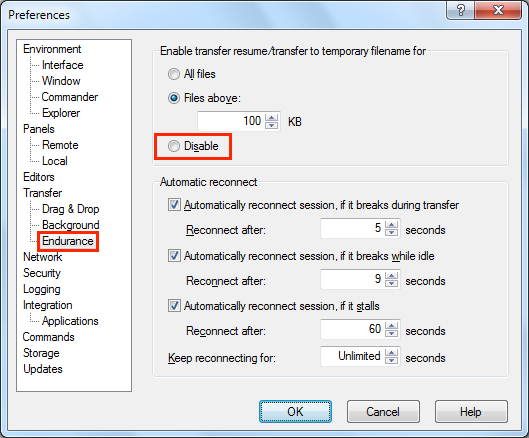 Find the section at the top where it says: Enable transfer resume/transfer to temporary filename for. Finally, you can connect to the SFTP Gateway server.